Race fans are invited to get in on the fun by sharing their memories, stories and pictures from events at Sonoma Raceway at the link below or on social media using the hashtag #Race50noma. Since the days of Ricky Rudd, Dale Earnhardt and Ernie Irvan, Sonoma’s famed road course has seen its share of memorable moments. In 2019, we’ll return to our historic 12-turn, 2.52-mile road-course layout for the Toyota/Save Mart 350 NASCAR weekend. The full track layout, which was originally unveiled when the raceway opened in 1968, incorporates the signature sweeping downhill corner known as “The Carousel.” Check back for more details about our NASCAR celebration. 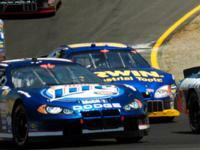 Drag racing has been a key part of Sonoma Raceway since our first season in 1969. 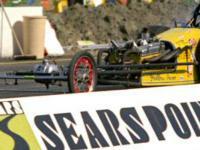 Then-Sears Point Raceway hosted its first national NHRA event in 1988, including wins by legends Joe Amato (Top Fuel) and Mark Oswald (Funny Car). Record-breaking speeds and sell-out crowds have been Sonoma signatures ever since. Be here as we celebrate our history at the NHRA Sonoma Nationals, July 26-28. Sonoma has a long history of two-wheel racing, including the popular American Motorcycle Association national motocross races in the hills above Turn 7, as well as AMA Superbike racing dating back to 1977. The facility hosted annual AMA events from 1993-2012 and currently showcases MotoAmerica and the American Federation of Motorcyclists, as well as motorcycle track days. 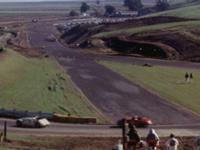 Take a walk down memory lane with 50 years of Sonoma Raceway. In honor of the 50th anniversary of Sonoma Raceway, we are calling out to our great racing fans for photos of their favorite moments with friends or family at Sonoma Raceway!